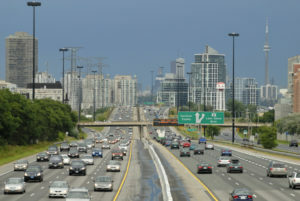 The 2019 Ontario Budget is out and there’s some positive news for auto insurance consumers. Finally, a government in Ontario takes a slightly different approach to repairing a damaged auto insurance product. For too long, the focus has been largely on no-fault accident benefits and ignoring virtually every other aspect of the product. The result has been a complex system that has not kept up with our changing society. Fighting fraud is a common theme for every government. The current government is looking for FSRA to overhaul the licensing system for service providers to reduce regulatory burden and fraud, including treatment fees. I’m not impressed with the existing licensing system. When I worked on it in the early part of the decade, I had intended on it to truly focus on identifying fraudulent operators. It would have only licensed the largest billing facilities. Instead, the government just designed a broad licensing system. Hopefully, someone will look back at the original intent. Streamlining the system will also reduce costs. The government has indicated that they would like to see contingency fee agreements become more transparent and review the effectiveness of contingency fees. Sounds like a good idea. The government has also signalled a desire to establish a Serious Fraud Office. This is an idea that has been bounced around for years now. My view is that it is the insurance industry that has to take the lead on fraud as is the case with other industries. The government also is pushing the idea of more e-commerce. That would mean more electronic communications when purchasing insurance and making claims. The Budget specifically mentions electronic proof of insurance, something I advocated for 6 years ago. This is a common theme when a government talks about auto insurance. How to achieve it is the trick. The Budget leaves the door open to basing rates on credit scoring and preferred providers for vehicle repairs and health care services. I don’t see credit scores and providing more accessibility or affordability. It will have the opposite affect on low income families. Insurers will gladly swap territorial rating for credit score rating. The government is also planning to simplify insurance forms, policies and other insurance documents. I’m all for that! This is the most intriguing part of the Budget announcement for me. It talks about a Driver Care Card, which would streamline access to care. I have no idea what this would look like. It does relate to the long awaited programs of care. Finally, the no-fault accident benefits cap on medical, rehabilitation and attendant care benefits for those catastrophically injured will be restored to $2 million. The cap was reduced to $1 million in 2016 by the previous government and was one of the worst changes they made. I’m for controlling costs for those with minor injuries but those with the most serious injuries need to be properly covered. Increasing competition really means breaking the existing mold where everyone has the same type of auto insurance product. Driving behaviour, usage and technology have all changed. The product needs to reflect that. So I agree, lets see some innovative products. As long as the regulator ensures consumers are adequately protected. Again, the government is looking to FSRA to achieve these changes. What can we expect to see? Things like pay-as-you-go insurance. Great for people who don’t drive much. Perhaps more telematics. A simplified rate approval process. Streamlining the SABS, something I’ve been advocating for, for years. Higher limits for small claims court. This is an ambitious agenda and a break from previous reform initiatives. Can’t wait to see how this plays out.